Our prices depend on your venue location, which band format you’d like and when you’d like us to start/finish playing. Generally for an evening reception we perform 2 x 1 hour or 3 x 40 minute sets with breaks in between (total playing time 2 hours). For drinks or dinner we usually perform 1 x 90 minute set. We are happy to quote for other playing times to suit you, though. 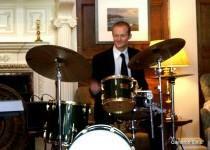 Are you looking for a jazz band or soul band to play at your wedding? Then you’ve come to the right place! Here at Jazz Up Your Wedding we specialise in playing great live jazz and soul music at weddings, civil partnerships & parties. We cover England & Wales within a 120 mile radius of Bristol. Our versatile 2-5 piece band can play several styles of music. 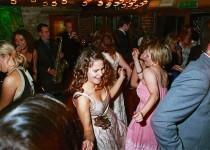 If you’re into your jazz, you’ll love our mixture of swing, jazz, latin & blues – whether for dancing or background music. 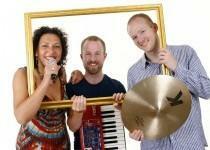 But we also love to get down and dirty with soulful Motown, funk and disco dance classics! 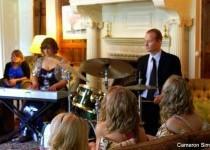 At weddings we’ll happily play during the ceremony, drinks, dinner or evening reception. Or why not just book us for the whole day?